Product prices and availability are accurate as of 2019-04-18 14:00:00 UTC and are subject to change. Any price and availability information displayed on http://www.amazon.com/ at the time of purchase will apply to the purchase of this product. 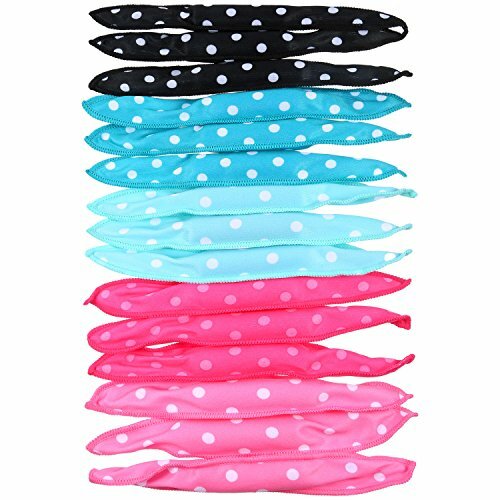 Made of sponge, polyester cloth and aluminum wire which can protect your hair from perm and chemical damage. Hair curlers without heat give you curly hair in a simple and natural way, not hurt your hair and make you have a pretty wave hair. You can use them for night when you want to sleep, then there is a curly hair every other day and not a waste of time; DIY at home, save time spending at hair salon. 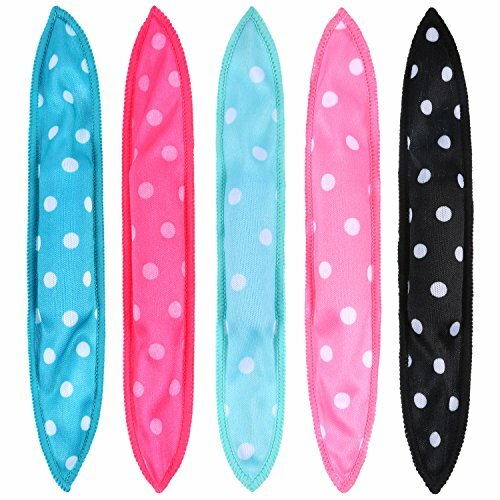 Set 1 (5 colors set): pink with polka dot, black with polka dot, light blue with polka dot, dark blue with polka dot and rose with polka dot. 1: Have either freshly washed hair and towel dried, let your hair air 80% dry. 2: Take hair curler, and a section of your hair; It is best to section off your hair into quarters to grab desired sections within the quarter. 3: Wrapping each section starting from the ends to the scalp.